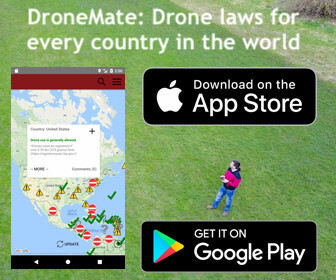 DroneMate is an app I created that shows you the international rules for flying a drone in every country in the world. Available for iOS and Android, the DroneMate map is updated regularly from official sources, to make sure the information is as current and accurate as possible. DroneMate also includes U.S. state laws as well as the specific rules for various tourist sites around the world so you can fly your drone without breaking any rules. Earlier this year I bought a drone small enough to comfortably travel with, but quickly realized finding out the rules, regulations, and laws to abide by internationally were difficult. There’s a lot of online hearsay, misinformation, and people who tell you convincingly what the local recreational drone laws are but are often (very often) wrong. Filming with a drone might seem innocuous but flying a small aircraft and breaking the rules, even unknowingly, can get you in a lot of trouble. I created DroneMate to make all the recreational drone laws around the world accessible in one place, on your phone or tablet, so you can fly and film legally. Also, several countries, even those popular with tourists, outright ban the import of drones. DroneMate can help you plan before a trip, letting you know whether or not to leave your drone at home. The recreational drone use rules around the world change frequently, which is why DroneMate is updated continuously. It took me months of research to compile the proper contact information of official sources in every country to get the data for DroneMate. Still, anecdotally, many people’s experiences differ in some countries, where the rules aren’t enforced, or enforced incorrectly. DroneMate has a comment system where users can leave their experiences to share with other travelers and ask questions. User-Rated Comment System – DroneMate lets users rate comments so the most useful ones are shown on top. 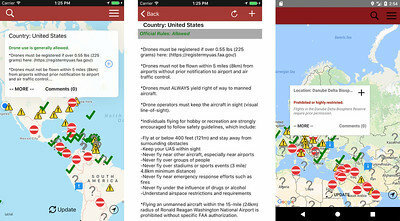 Check Rules At A Glance – The app categorizes national drone laws into one of four categories/icons (allowed, limited, restricted, no data/legislation) making it easy for you to quickly get an idea of what to expect. The details view lists all the applicable rules, registration forms, penalties for violations, plus comments from other drone operators. 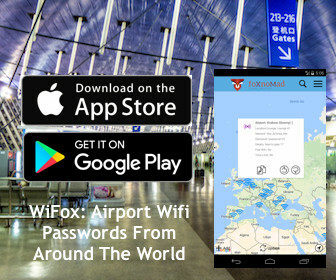 Available Offline – The map is available offline so you don’t need an Internet connection to use DroneMate when you’re traveling. You can view the free, basic version of the map online here. Specific Drone Information – Find out if your particular drone falls under the weight requirements of a given regulation. DroneMate only covers recreational, not commercial, drone use and ultimately you’re responsible for knowing and following the right rules. The goal of DroneMate is to put the proper drone rules in one place, provide you with the appropriate contacts if registration is required, and save you from the hassle of drone confiscation or problems at customs around the world. You can download DroneMate from the App Store for iPhone and iPad for $4.99. There are no ads or in-app purchases in DroneMate and you get a lifetime of free drone regulation updates, access to all the comments, additional information, as well as offline use for your travels. DroneMate is also available for Android devices here for the same price, with the same features, for $4.99. Purchasing DroneMate helps support me as I update the app, add features, provide speedy service, plus keep up with drone legislation to ensure DroneMate’s as useful as possible. I appreciate your support, as well as feedback or feature requests – also if you’re happy with DroneMate, your 5 star reviews on Google Play or the App Store! Can you please make the links in dronemate accessible? I cant open the URL links embedded in the description. Thanks for the feedback! It’s a planned change I will make for both iOS and Android in an upcoming release. I bought your app because the title of this page says it has the current rules “For Traveling With” your drone, but I see none of this information for South Africa included. Your app displays the rules for flying in South Africa, but I need to know if foreigners can even bring a drone into that country.